I was digging through some of my scrap bins the other day and decided to liberate some of them. 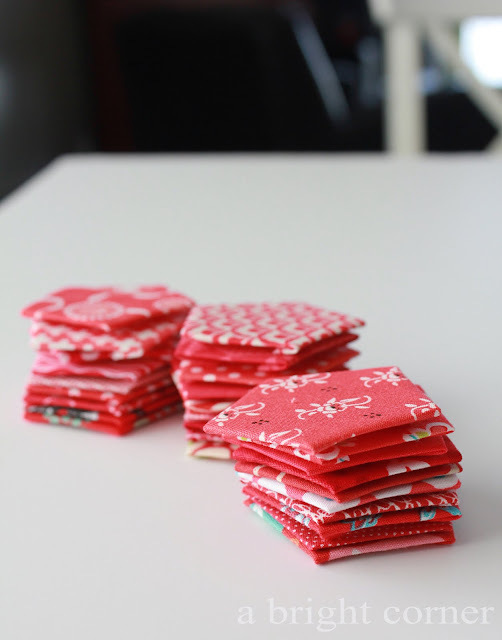 I realized that I had some really good red scraps and that they needed to be used and not just stored away. So I started a new English Paper Piecing (EPP) project to work on while I sit at karate classes, wait in Dr offices, and watch tv in the evenings. My last project was these pink hexdens. The hexdens have been stitched to a background square and the blocks are just needing to be sewn together into a quilt top. 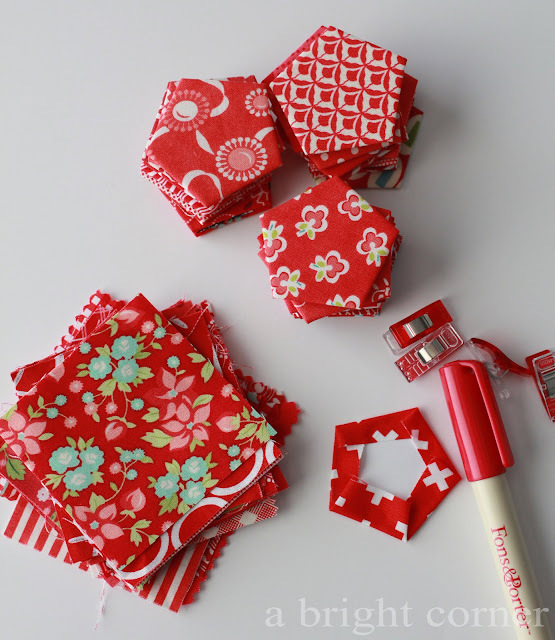 For this next project I chose to make pentarings. 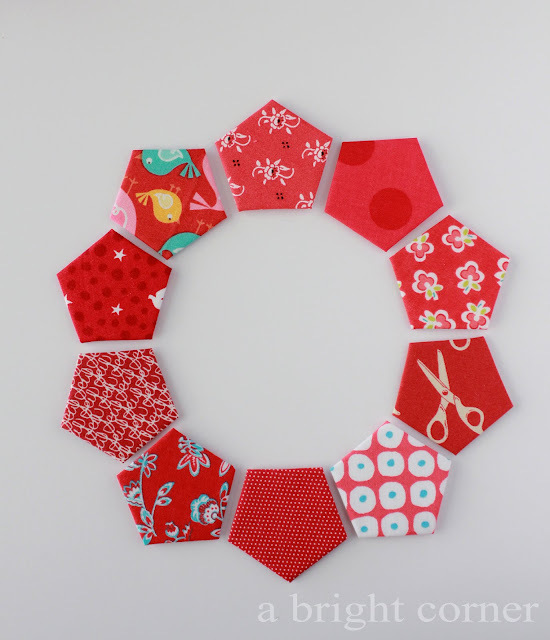 It's a ring shape made up of 10 pentagons. 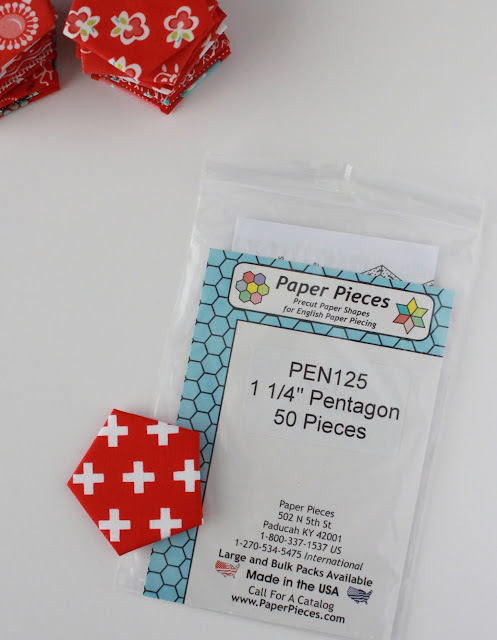 These are the pentagon pieces I chose to use (I purchased them here). What do you think? Cute, huh? I love the little pair of scissors. I made a tester one, and decided that I love it. I've now ordered more papers and cut my favorite red scraps into 2.75" squares - ready for basting! OH MY STARS! ARE THESE DARLING! THANKS FOR SHARING! I like the pentagon shape and I want to do the hex den shape too. Thanks. I'd like to see what you do with these. So cute!